Delivery of the F-35 Joint Strike Fighter will be more than a year behind schedule due to ongoing software problems, according to a US government report. The delay marks the latest snag in the ongoing saga of the world’s most expensive aircraft. 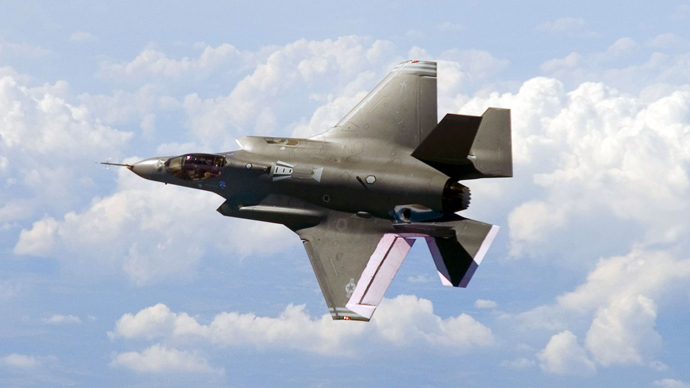 According to a new Government Accountability Office report, the F-35’s mission management system software needs a vast debugging effort to meet the plane’s various requirements. “Challenges in development and testing of mission systems software continued through 2013, due largely to delays in software delivery, limited capability in the software when delivered, and the need to fix problems and retest multiple software versions,” the GAO auditors wrote. The GAO said the plane needs eight million new lines of software code to overcome the current functionary glitches. The report added that only 13 percent of the Block 2B segment of software had been tested as of last January. The target for this prime operational component of the plane was 27 percent. Earlier this year, the Pentagon's chief weapons tester, Michael Gilmore, provided an in-depth report to Congress on the F-35's technical features, emphasizing what he calls the "unacceptable" characteristics of the aircraft's Block 2B software, according to a draft obtained by Reuters in January. "Initial results with the new increment of Block 2B software indicate deficiencies still exist in fusion, radar, electronic warfare, navigation, electro-optical target system, distributed aperture system, helmet-mounted display system, and datalink," Gilmore's report said. Due to the high number of technical problems, the 2B software overhaul would not be finished until November 2015 - 13 months later than originally planned, the report predicted. 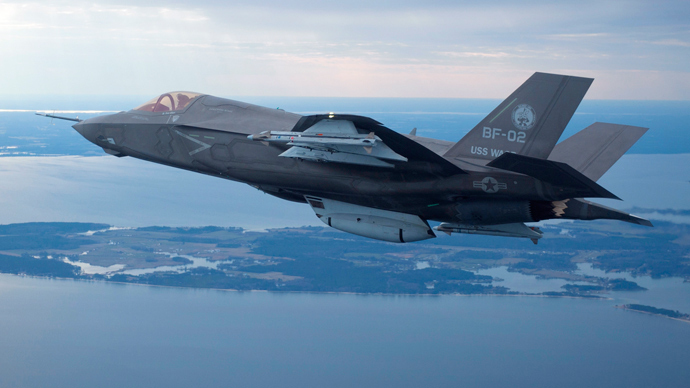 This scenario would delay release to the F-35 fleet until July 2016, a year after the Marine Corps anticipated having “initial operating capability” with its version of the joint strike fighter. The all-in-one plane, designed for a host of potential missions, is to have similar versions for the US Air Force, Navy, and Marine Corps. 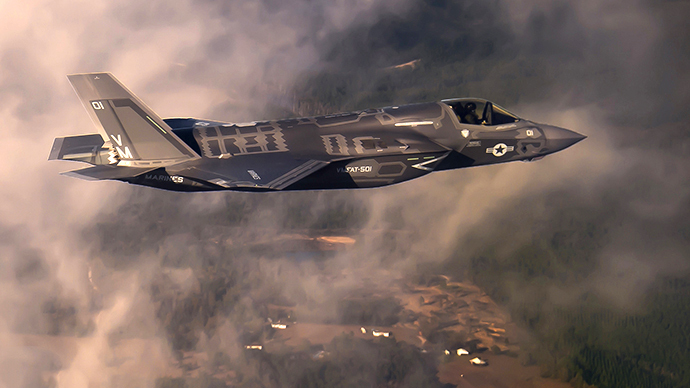 GAO auditors questioned whether the US government can still afford the F-35 program. Plans are for the purchase of 2,457 planes for the US military by 2037. Development and acquisition costs are estimated to be about $400 billion. To remain on schedule for 2037, the Pentagon must “steeply” increase spending on the program over the next five years, the GAO said, to the tune of $12.6 billion per year for the next 23 years for only research and acquisition costs. 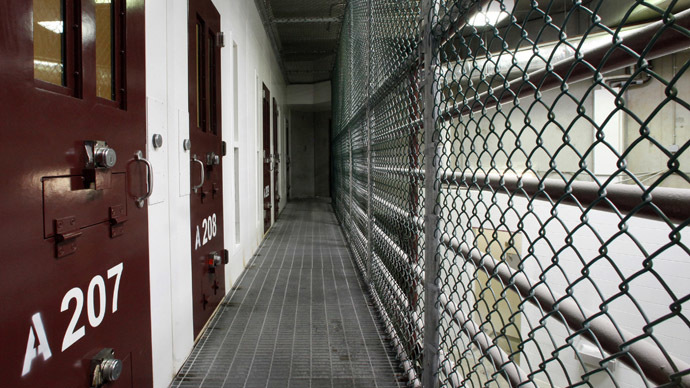 Pentagon brass has called the $1 trillion estimated operation and maintenance costs “unaffordable,” the GAO reported. In response to the GAO findings, the F-35 program's head, Maj. Gen. Christopher Bogdan, said in a statement that "software continues to remain our number one technical risk on the program, and we have instituted disciplined systems engineering processes to address the complexity of writing, testing and integrating software." The report, released Monday, detailed only the latest problems with what some have dubbed“the jet that ate the Pentagon,” plagued with chronic cost overruns and delayed deliveries. The Lockheed Martin fighter jet’s price tag is estimated to end up costing US taxpayers more than $1 trillion, factoring in maintenance expenses. Though, the Pentagon said in August that the program’s estimated cost was “slashed” to a trim $857 billion. Critics of the plane’s many functions say it’s too loaded down to be any more capable than the older, less-expensive F-16 fighter jet, which the F-35 is to replace along with F/A-18s, and A-10s. The F-35 Joint Strike Fighter program, which started in 2001, is 70 percent over initial cost estimates and years behind schedule. Despite its fantastic price tag, the F-35 has even failed to generate the number of jobs its proponents had originally promised to Congress. In January, the Center for International Policy said Lockheed had “greatly exaggerated” its claim that the F-35 program will sustain 125,000 American jobs in 46 US states in an effort to win support for the program. In addition to the US, Lockheed is making F-35 versions for Australia, Britain, Canada, Denmark, Italy, the Netherlands, Norway, and Turkey. 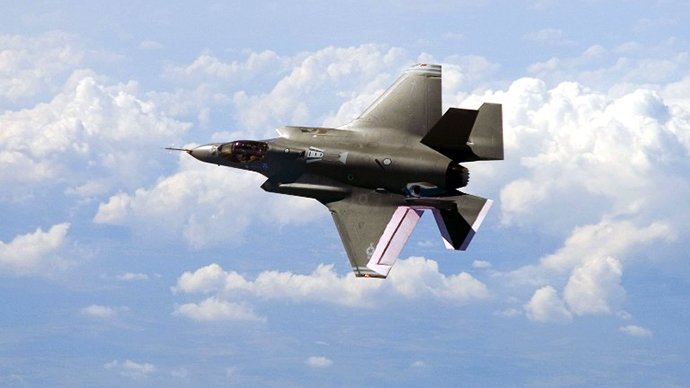 Israel and Japan have placed orders for the fighter jet. South Korea ordered 40 joint strike fighters on Monday – the same day as the release of the GAO report. Despite the myriad problems in the F-35’s development, the first trans-Atlantic flight of an F-35 fighter jet is set for July, as the plane will take part in two international air shows near London, Reuters reported.